A coffee tavern sounds rather Dickensian but there was such a place here at the turn of the 20th century. The proprietor was Mr John Moulder and coffee was served here until about 1903. Several years earlier, in 1892, Mr Moulder had erected this shop at the front of his house, when he was a plasterer and plumber. It had caused a dispute with his next door neighbour at 1 Clare Cottages who objected to "the loss of air and light" to his front room. Mr Stewart, occupation unknown, resided here until 1907 and then the premises may have been unoccupied for a couple of years. In 1909, Miss Elizabeth Roylance, the daughter of draper James Roylance started her own business here as a milliner and mantle maker. (A mantle was a sleeveless cloak first used in the fifteenth century). Her father’s business was in the High Street where he sold fine hosiery, bonnets and haberdashery. It is quite likely that Elizabeth learnt her trade from her father. In December 1909, Elizabeth married to William South and by the start of the War, she had given up the shop. It then became the home of something very different from the delicate items that Elizabeth made and sold! Mr Charles James Lord and his wife, Ethel ran a motor cycle business here until the middle of the 1920s when it changed trades yet again. There followed the very well known provisions merchants – George J Mason Ltd, with its long mahogany counter along one side of the shop. A high class grocery chain, they had their name standing out in gold lettering and had branches all over the country. The Bath Road branch of George Mason was here for nearly half a century until it closed down in the 1970s. After Masons the shop changed hands several times. It was a carpet shop belonging to J V Morris and then two sports shops – Pelican Sports and then John Fidler Sports. In 1989 the family firm of F C Dodwell moved from 159 Bath Road to these larger premises. 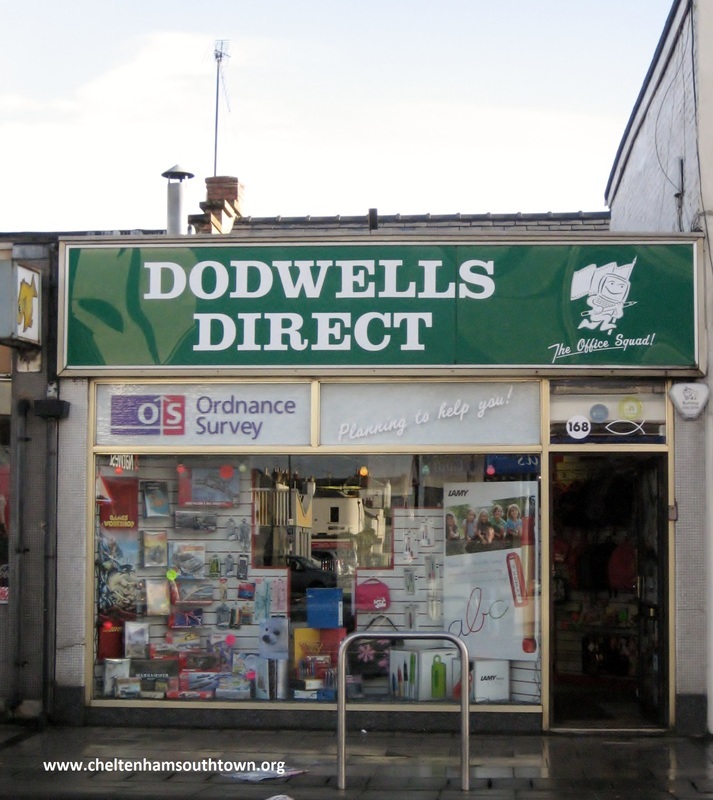 Mr Frank Charles Dodwell established the business in 1883 and had several retail and wholesale outlets throughout the town. Their main retail outlet started in the High Street in 1929 and traded there until its closure in October 1993. The company remained in the Dodwell family for many years. This shop in Bath Road continues to sell all types of stationery, maps and office equipment. They provide a fax service as well as having a thriving mail order business.